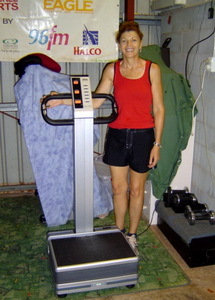 We have had a “Whole Body Vibration” Machine for the past six weeks (4 June 2007) and it has been fantastic for non-energetic and –non-exercising people like us as we can just stand on the vibrating platform while the unit tones our legs and abdomen for us – we just move our feet and body in various positions. In conjunction with the calorie (kjoule) controlled diet, I have lost over 3 kg in weight and the waist has shed over 3 cm in the 6 weeks. Tim and Dawn , (65+) Stuart Park, NT. 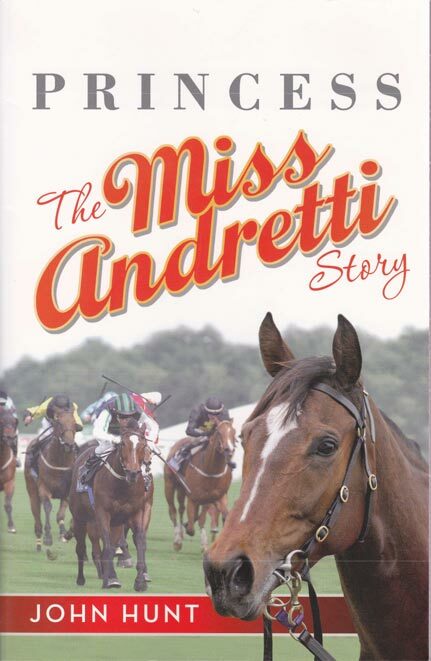 July 24, 2007. As we turn the page on another successful chapter of Ochre Contemporary Dance Company's development, we want to thank you for your involvement in Dreamtide, and its subsequent success. Dreamtide marked another major milestone in Ochre's development. This production saw a 65% increase in ticket sales from 2012, and enabled us to employ 8 professional dancers, 4 of which this was their first professional role. The performance was met with enthusiastic positivity, with many people reaching out and emailing us with their thoughts. Duncan Gardiner, a local musician, had this to say about the performance: "I can say with all sincerity that this show is one of the most memorable performances I have ever had the pleasure to witness. For me the dance, culture, music, lighting, set and choreography came together along with pure energy and emotion to create something that was literally spine-tingling and breathtaking!" Dreamtide could not have happened without your tireless support. 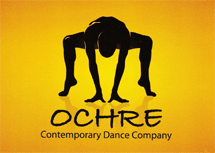 Your contribution to Ochre Contemporary Dance Company ensured the success of this production, and the development of Ochre's position as a company of note in the Australian Dance Landscape. The availability of the machines in the Green Room has seen the dancers making use of them before and after rehearsal, as well as on their lunch break. We have received many positive comments about the effect the machines have had on their recovery time. Please find a post-production report on Dreamtide for your perusal. If you have any questions on any of the information contained within the report, please don't hesitate to contact us. thank you so much for allowing me to make my purchases on time payment. I really appreciate it, because I could not have got them without your help. I really love the WBV. It has cured my stiff neck, and my back problem has been helped greatly by it. My son (diabetic) was unable to use the Power Boot, due to blockages in his legs, so I have been using it. However, Dan is now in the process of trying to get his legs fixed, then I am sure he will benefit from the use of it. I am moved to contact you again after achieving a sudden great improvement in the management of my ongoing spinal problems. Since last seeing you I have been getting Chiropractic adjustments at least weekly. Late in 2012 my requirement had become twice weekly and I keep myself booked well ahead to avoid missing a treatment. For the last few years I have not used my WBV3000 much as the benefits seemed pretty minimal and I have always been reluctant to use the machine whilst standing vertically on the plate, believing the gently impact through my spine would not be a plus. My Chiropracter, Dr Clinton Kessy of Safety Bay Chiropractic, has confirmed that my idea of using vibration to relax my shoulders should assist his chiropractic adjustments. I have often leaned forward from a kneeling position in front of the plate to rest my elbows on the plate and vibrate my shoulders.Three weeks ago I tried kneeling on the plate and supporting my trunk on a chair placed in front of the machine. The vibration introduced to my pelvis and lower spine in duration of about one minute is giving me a life changing relief to my spinal problems.I am giving myself two or three 10 minute sessions a day now on the WBV including the one minute of pelvis "wobble". I have had only one adjustment since starting this regime and that was only to check all was well. I have cancelled my last 3 appointments and am enjoying an extended "good" patch which I am hopeful will continue. One thing is for certain is that your machine will feature very strongly in my future spinal care. I hope others may benefit from this experience. I am writing to thank you for introducing me to the Whole Body Vibration machine. As you know I have had constant back problems emanating from a professional tennis career as a young man. Over the years, I have gone through a range of attempted remedies, from chiropractors to physios, to GPs to far eastern methodologies, - so it came as a pleasant surprise, to discover a non-invasive, even enjoyable form of treatment through the WBV machine. It has in fact relieved my sciatic pain to such a significant extent that I am now able to recapture some of my previous glory days (ie I have begun belting the ball around again). I am not sure my back problems will ever disappear entirely, but I do find whenever I have a bad day that the WBV machine takes away the pain almost immediately. Good luck with getting the word around. We have been using our WBV machine for nearly three years and just love it. It is just like our early morning cuppa, you just need it for a great kick start to a very busy day. It seems to invigorate you and help with all those early morning aches and pains. We love it so much that we are on to our second machine and would not hesitate in recommending anyone with a busy lifestyle to purchase one. Thank you to Pauline and crew for the great ongoing service. Deborah we just wanted to say a big THANKS for bringing this wonderful product into Darwin – we all LOVE IT! After I get off I feel as if I am floating but I’m not . The machine leaves a feeling of release and lengthening through the body. It also relaxes muscles and leaves the body feeling relaxed. My wife & I have been using the WBV for 2 months,(5 May 2007) we've found ourselves to be lighter, trimmer and much more active. Its made such a change to our lives. Three of our friends have also bought one since. IN regards to your WBV Machine well what else can I say other than WOW!! I have been in pain since my motorbike accident in 2004. I have been very limited to what exercises I could do that wouldn’t leave me in pain. I was starting to think that apart from Swimming there was nothing else I could do to try to loose weight until I was introduced to your machine by my mother as she has one of your machines in her home. I have been using her machine for the last 3-4 weeks and my goodness not only am I smiling but my new husband things that your machine is the best thing since sliced bread!! Since using this machine not only do I feel fitter but I can actually see tone coming back into my legs and arms. So I am now looking at purchasing my own machine because to me this is a magical machine and I want one of my own….one that both myself and my partner and children can benefit from for the rest of our lives. Thank you so so much for introducing this machine to the Western Australian marketplace, my prayers have been answered. No Pain, Extremely Happy, New lease on life! !